Plan for the future by mapping your current talent and developing a succession pipeline. Identify critical roles. 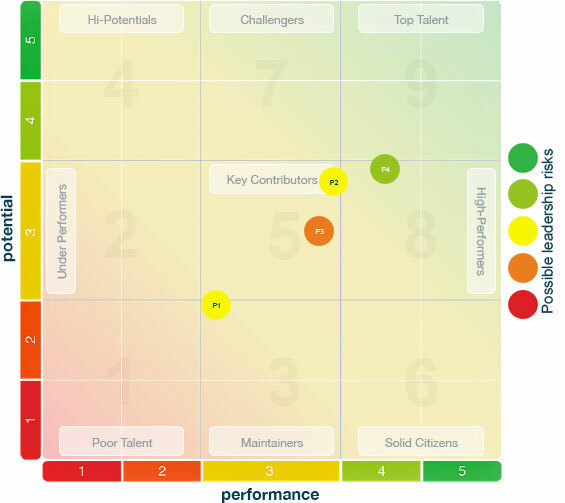 Map your current talent scientifically using assessments to determine their potential and match to future requirements. Identify where there are gaps. Then build your strategy around creating a pipeline and developing your current talent to meet your future needs. Through our assessments, we provide a holistic picture of your organisation’s talent map and succession pipeline, and equip you with the tools necessary to ensure organisational longevity.